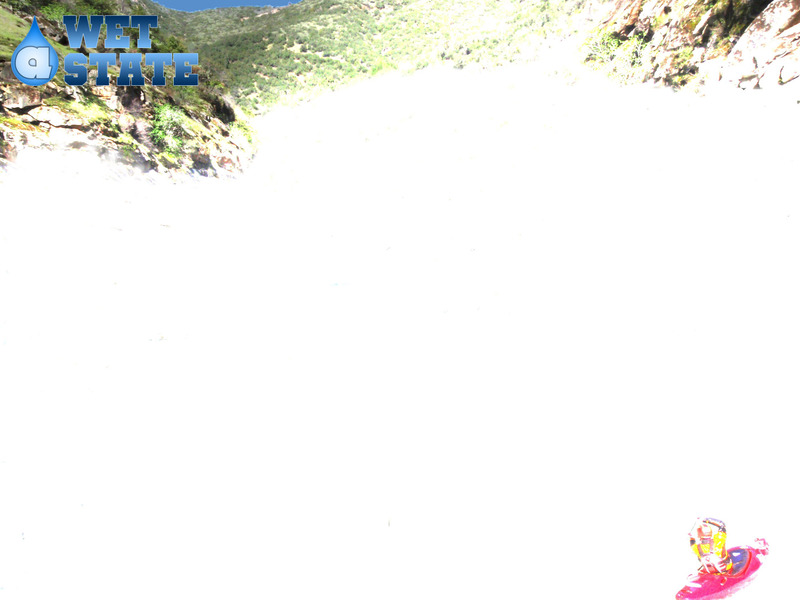 Shuttle: Hike up to it along river, not a hard hike. So on our fifth day of kayaking the Middle Fork of the Salmon we come to this creek. As I remember it was the largest of the tributaries to the Middle Fork, and also had the most fun looking rapids of all the creeks we passed. I was told there was a solid class IV steep creek run on the Big Creek, and eagerly looked forward to it. When we got there, the run is hardly “steep creeking” but instead a somewhat continuous affair with ample time to eddy out and boat scout (if you didn’t do so on the hike up). Afterwards our rafter friends hiked up and told us that at lower water the run becomes much harder as it is more technical, I think we might have also just made it look that easy. Anyways, of all the creeks I saw coming in, this one was most worth the hike. At low flows people put in at the bridge about ¾ of a mile up. At our flow we could have gone more than the 1.25 to 1.5 miles that we did, but it looked to get mellower and the trail began to leave the river a little, along with the 20 mile day of paddling on the Middle Fork, we opted not to look further and see what was around the next corner. This creek is very much worth the time though and should be done if in the area. First (II+). Read and run this section, it is easy. Second (III-). A few holes and waves lead into a hidden rock on the center left. If you were to find this rock it could hurt, however our read and run line took us right of it. Third (III). A ledge drop that is runnable center right or boofable center left. All other parts met with rocky landings. Fourth (IV-). Just after the bridge there is a rock garden which wants you to go to painful places. We entered on the left and after the first hole worked our way right around a exit rock. There are many submerged rocks in here to kick your balance. Fifth (IV-). 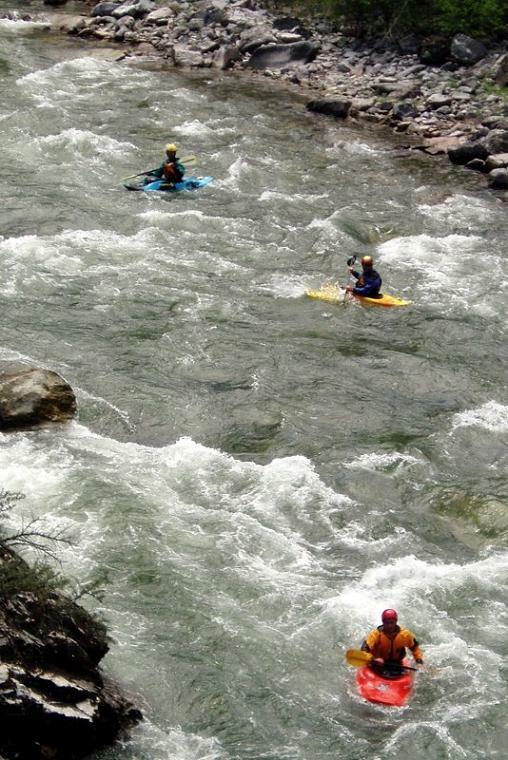 The hardest rapid on the creek comes one insight of the Middle Fork. 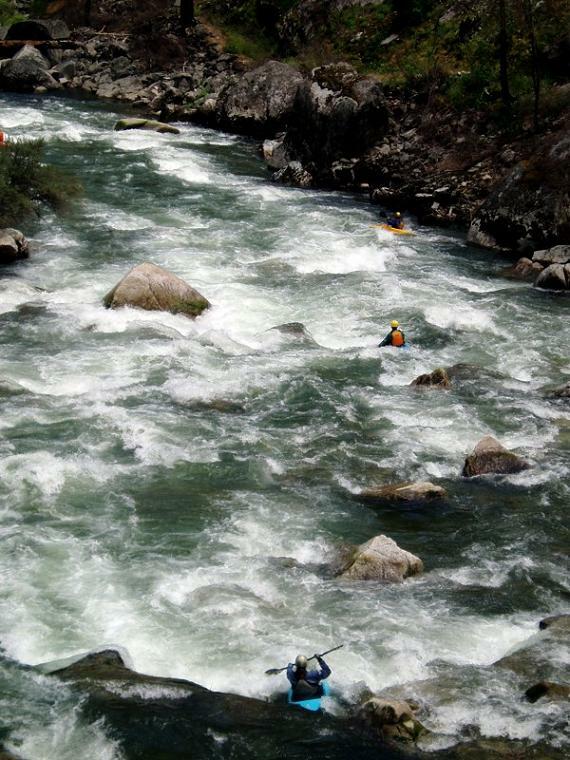 The rapid entails a zigzag from the right to the left around some large holes and many rocks. 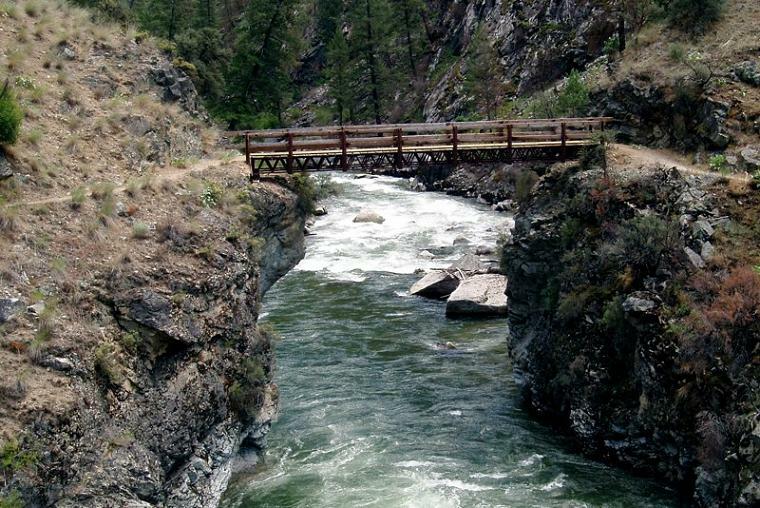 Put in: Hiking up the upstream side of the creek, you cross a bridge, one can put in here (or below) or can continue up. We hiked beyond the bridge about the same distance that it was to the bridge. As the creek began to look mellow upstream and the trail began to develop a cliff down to the creek, we took the last easy put on which was down a small slope to a rock bar and put in there.